Function: It provides 70% relative sweetness to sucrose with only 0.2Kcal/g . Application: Commercial uses of psicose include low-calorie sweeteners in beverages, yogurt, ice cream, baked goods, and other typically high-calorie items. 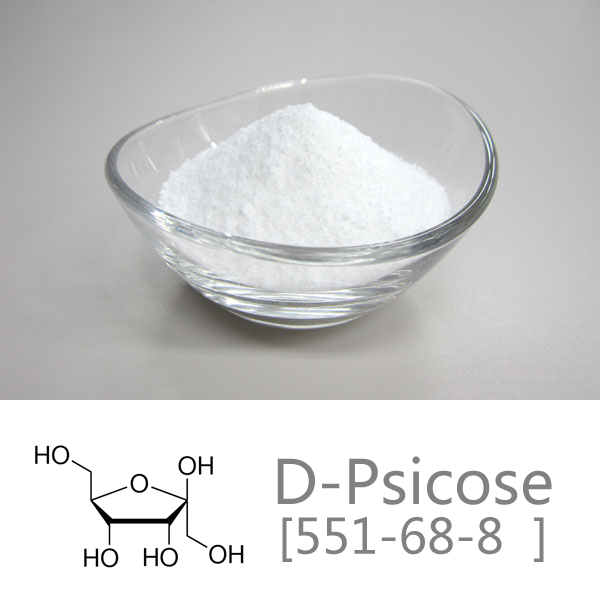 D-Psicose (D-allulose, C6H12O6) is a low-energy monosaccharide sugar present in small quantities in natural products.It provides 70% relative sweetness to sucrose with only 0.2Kcal/g (95% calorie reduction compared to sucrose). Commercial uses of psicose include low-calorie sweeteners in beverages, yogurt, ice cream, baked goods, and other typically high-calorie items. D-Psicose in ice creams can reduce calories up to 60% and provides softer texture through optimal freezing point depression. D-Psicose enhances taste and flavor of ice creams and provides clean mouthfeel. When applied in chocolates, especially to dark or semi-dark chocolates, D-Psicose provides well balanced flavor and taste. D-Psicose masks off bitterness of cacao and provides better mouthfeel, D-Psicose enables 100% sugar replacement and chocolates made with D-Psicose can reduce calories up to 48%. When applied in ketchups, D-Psicose enables 57% calorie reduction and 91% sugar replacement. Studies emphasize that D-Psicose prevents deterioration of products through its low water activity which limits growth of micro-organism. High water holding capacity of D-Psicose helps products to avoid phase separation.